Do you bake with cardamom? 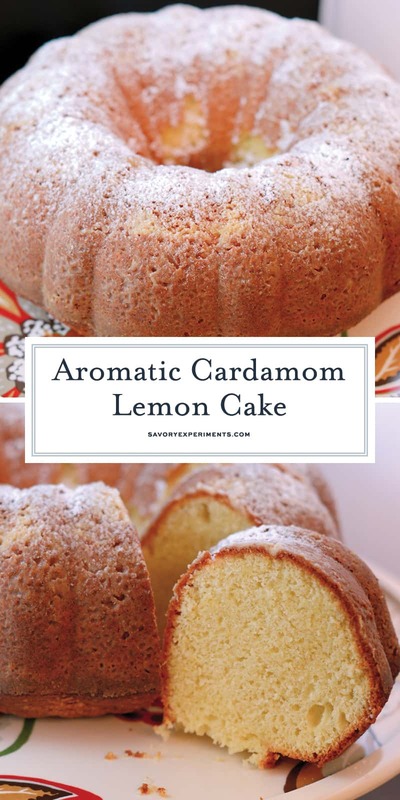 Cardamom Lemon Cake is one way to use this unique and flavorful spice. 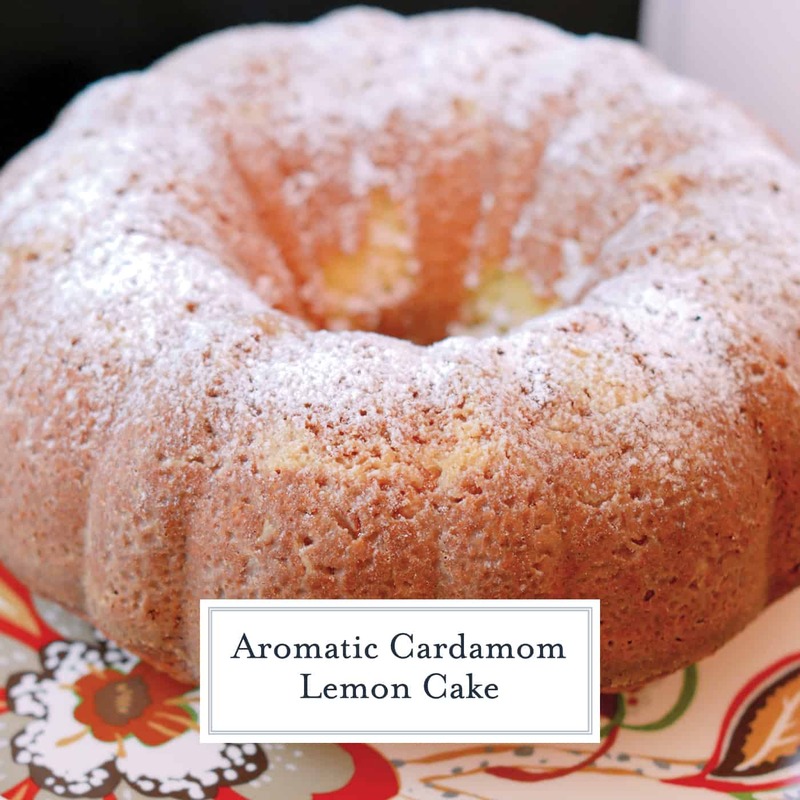 Cardamom Lemon Cake is a light cake and gently flavored. It pairs perfectly with tea, coffee or the grand finale to any meal. 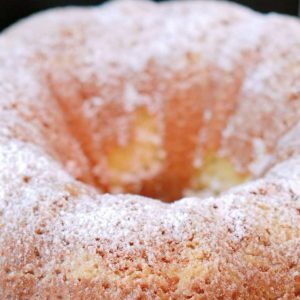 The perfect lemon bundt cake! I love the smell when I open the jar of cardamom. Highly fragrant with an intoxicating peppery floral scent, you want to use it more frequently. You will probably also want to use it because it is usually purchased in a much larger quantity than you will ever be able to use before it starts to lose its potency (unless you own a bakery). Cardamom is fairly expensive at $12 a bottle. Pro Tip: Always use a sifter for dry ingredients. It will prevent lumps, allow for less blending and make sure leaveners are evenly distributed throughout the cake batter. What is cardamom? Cardamon is a spice that comes in the form of a pod holding seeds. You can use the pod whole or ground. It is commonly used in Middle Eastern and Indian recipes. You might have had in various types of curry. What type of cardamom recipes are there? Well it can obviously be used in baking, like I am in this recipe. You can also use cardamom in drinks, add it in tea or coffee. Other options would be mulled wines and eggnog. Cardamom can be used in other cooking recipes as I have linked down below. Pro Tip: Do not over mix the cake. Overmixing leads to tough and dry cakes. If you don’t want to purchase cardamom just to make this a lemon cake recipe. If you don’t think you will use it again, substitute equal parts nutmeg and cinnamon. The flavor will not be the same as cardamom, but will be equally as tasty. 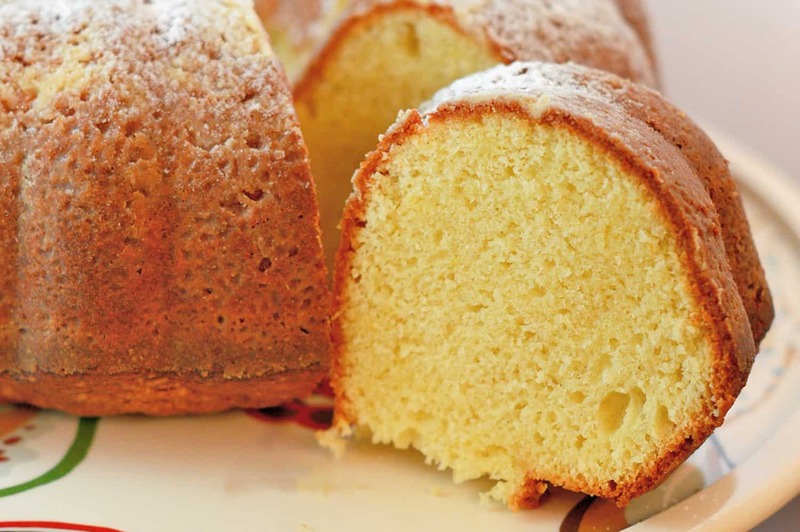 This lemon cake recipe makes a great snack throughout the day but it works great as a dessert. Because it is such a light cake, it pairs perfect after a big dinner. Perfect for serving with tea or coffee. Bundt Pan– Any shape will do since the biscuit pieces won’t really take on the shape anyhow. 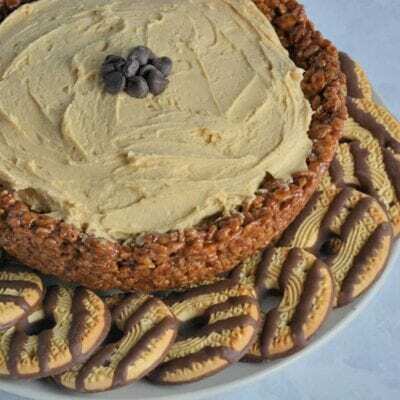 The traditional is great but the swirl is also a lot of fun and can be made into fun colored cakes as well. Preheat oven to 350 degrees. Lightly coat 9 1/2 inch bundt or tube pan with cooking spray or melted butter. 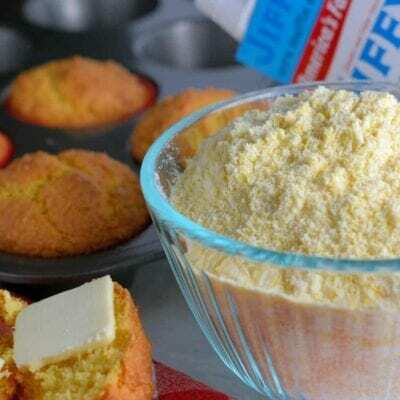 Flour with 1/4 cup flour. Tap out excess. Beating egg whites into fluffy, shimmering clouds is more than baking, it involves science. There must be no water in the bowl or on the whisk. A copper bowl is preferred due to how copper assist the molecules in lining up, but since my arm gets tired from whisking, I prefer to use my kitchen aid stand mixer with the whisk attachment. Whisk eggs whites and cream of tarter until peaks form and hold. Set aside. In a medium mixing bowl, stir together flour, baking powder, cardamom and salt. 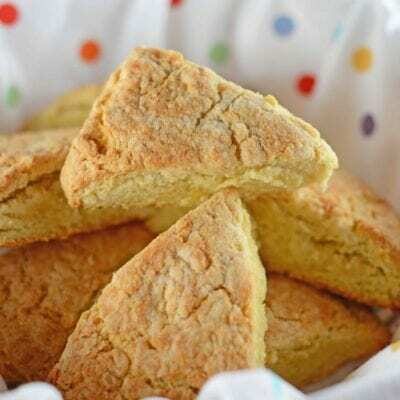 In a large mixing bowl cream butter and sugar until fully incorporated and smooth. Add egg yolks two at a time, beating well between each addition. Add lemon zest, juice and vanilla. Blend again. Alternate adding a few tablespoons of flour mixture with milk, until all has been mixed. Gently fold eggs whites into butter mixture. At first, mixture will be sloppy, but continue to fold and it will tighten up. When batter is one, cohesive mixture, pour into prepared bundt pan. Bake for 50-60 minutes, or until Cardamom Lemon Cake passes the toothpick test. Remove and allow to cool. Flip onto cooling rack. Dust with powdered sugar. Cake can be served warm or room temperature. Enjoy your Cardamom Lemon Cake! this cake looked so delicious I had to try it out. Ended up doubling the lemon zest and almost DOUbled the cardamom too, but didn’t.. I will next time. I baked and it in the Nordic ware Star Bundt pan and it came out so pretty. It’s very moist and lovely! Yay! That is what I like to hear! I’m glad you loved it. Is it possible to make this recipe as two 9″ rounds instead? Has anyone tried it? I was thinking of making it that way with a light frosting for a birthday cake. I have not, but I supposed you could. 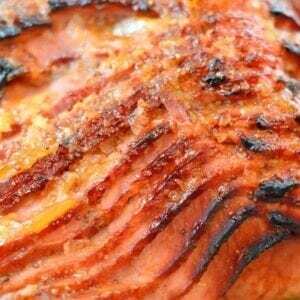 I would reduce cooking time to 25-30 minute each. Use the toothpick test and report back. I’d love to know if it works! 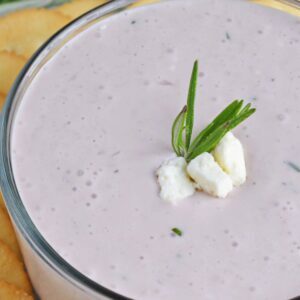 I made this yesterday and it is a wonderful recipe. The cardamom is not overpowering but gives the cake more depth and interest. My husband isn’t a fan of lemon but he loved this cake so that saya lot. LOVE Cardamom! Great call pairing it with lemon. I never heard of cardamom before. I guess I discover more and more things each day. Your recipe looks delicious! I would surely like to try this one. I love just about any dessert with lemon. I’d love to try this cake! Lemon is one of my favorite desserts. This looks really, really good! Thanks for sharing! Now this recipe sounds divine! I’ve never used Cardamon in a recipe. Thanks for sharing!! This looks so delicious! I love a light cake that goes well with coffee. One of my favorite memories growing up was my mom’s lemon cake so it will always be a favorite! This looks delicious. Never heard of cardamom! This cake looks super moist and delicious! This cake looks so good! I hadn’t tried that spice before. I’ve never thought of putting in my coffee grounds, that is a great idea! I’m impressed with how great your cake looks! And the description sounds so yummy. Definitely saving this recipe for future use. That looks delicious and I love lemon flavored dessert! I’ve never used Cardamom but maybe I need to give it a try! Your recipe looks absolutely delicious! 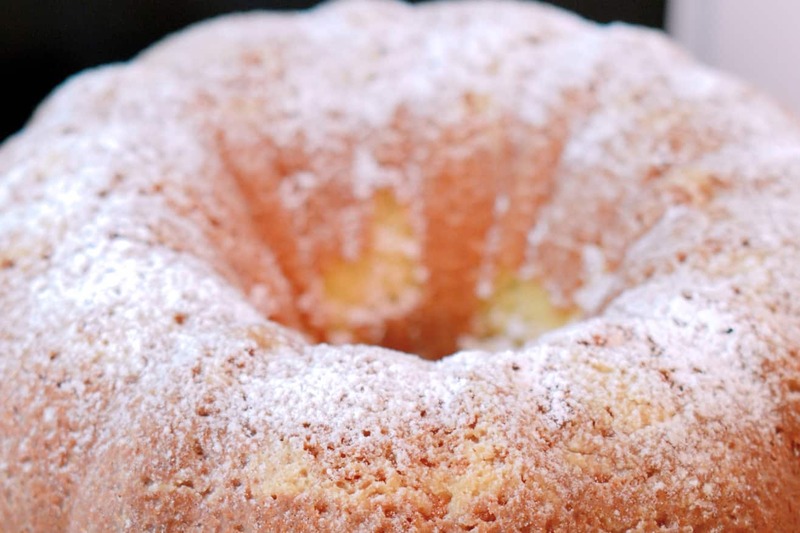 It has been awhile since I made a Bundt cake – you have inspired me to make one this weekend. I have never baked with cardamom…I think I will have to purchase some. I bet that cardamom smells great when baking this! I love, love, love cardamom. What a great addition to lemon cake. Oh, this looks so delicious! I bet it would also be good topped with some berries. A lemon cake sounds so good. I love that little bite lemon lends to dessert. This sounds like a delish cake! I am a fan of any lemon cake! So I think I am def gonna try this one out! That looks delicious!! I may have to make that for for sure. I love lemon cake but have never made it myself. Perhaps I will try your recipe. It looks delicious! That cake looks and sounds amazing! I’ve only ever used cardamom pods in cooking (in one of my rice dishes). 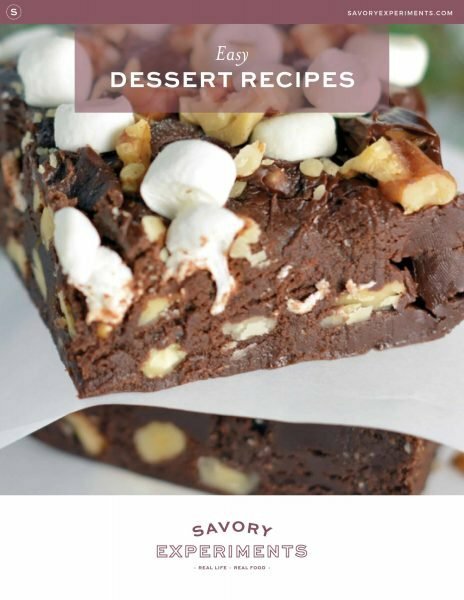 Will have to try this recipe! I’ve never used cardamom pods- I’ll have to try that! I love lemon cake! 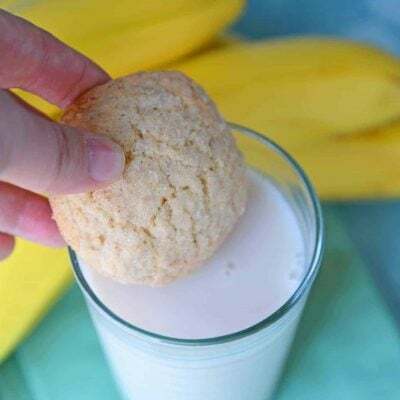 This looks delicious and seems pretty easy! G’day! Love cardamon! I’ll be right over for a slice! Beautiful cake. I love your photography! Thank you, Krystal! I’ve been making much more of an effort to improve my photos! Omg. We are totally making this tomorrow. I like that you used an unusual spice in this cake recipe. Sometimes people get stuck in the usual, this is a good chance to branch out and try some different flavors. Hmm, I’ve never heard of cardamom. Where can you find it? If it can be substituted with nutmeg and cinnamon, it sounds like it would be good! Ooh this looks so lovely! You know, I have been thinking a lot about things that I’ve never cooked or baked with before and cardamom is one of those things! I will have to try this! This looks really delicious. I love any type of dessert that has lemon in it! Delicious! My girls could eat that entire thing at once! Thanks for the recipe! Beautiful pictures too! Thank you, Amy… I almost ate the whole thing! YUMMMM! This looks delicious! I’ve never made any sort of lemon cake, I’ll have to give it a whirl! My dad would love this – he loves lemon! Love the cardamon addition. Fabulous cake!! I love lemon and this recipe looks amazing. Thanks for sharing. Hopefully this is as easy as it sounds! I have a bundt pan that is screaming to be used! That sounds absolutely amazing. I was just craving something sweet, too! Cardamom Lemon Cake is perfect… not too sweet- just right! I’ve never heard of cardamom. Think I’m going to have to give it a try! The cake looks delicious! It is an interesting spice- let me know if you like it.